TimeZone : Audemars Piguet » Question about these "connectors"
I don't believe "connector" is the right term for these... is it? I know that the "connectors" on the BumbleBee are black. 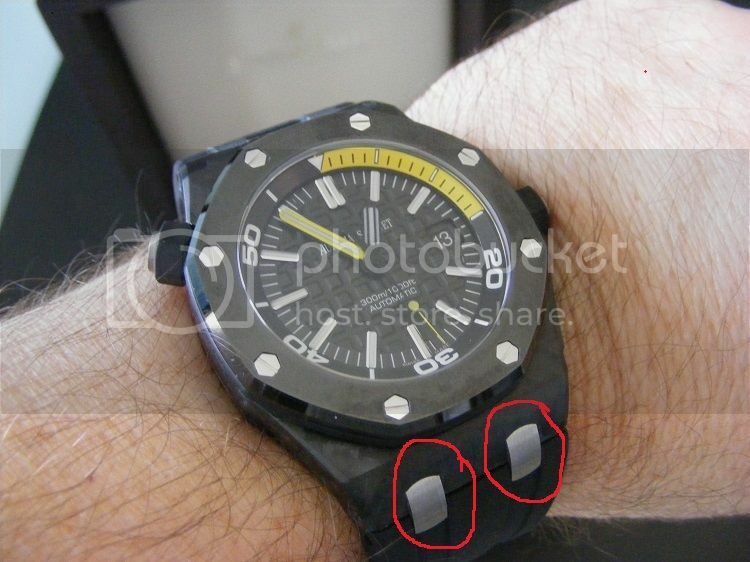 Do you know if the service center in FL would change the ones on my Diver with the black ones? Whom should I talk with about this? Also, do you know if the BumbleBee strap (black with yellow stitching) would fit the Diver? I know I would need yo get a deployant for that since the holes would not work with the tang buckle that is on the Diver. But would the strap fit?